UPDATE: This event is now SOLD OUT. There will not be a wait list or standby line. 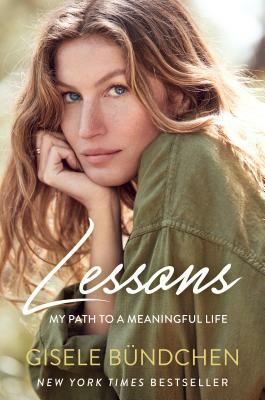 Join us for a chat with supermodel, philanthropist, and New York Timesbest-selling author of Lessons: My Path to a Meaningful Life, Gisele Bündchen! Gisele’s talk will begin at 5:00pm and run for 30 minutes (15 min interview, 15 min audience Q&A).This event requires a ticket, available only through EventBrite. Until now, few people have gotten to know the real Gisele, a woman whose private life stands in dramatic contrast to her public image. In Lessons, she reveals for the first time who she really is and what she’s learned over the past 37 years to help her live a meaningful life–a journey that takes readers from a childhood spent barefoot in small-town Brazil, to an internationally successful career, motherhood and marriage to quarterback Tom Brady.